When you think of Irish cliffs and must-see tourist sites, the famous Cliffs of Moher in County Clare automatically spring to mind. 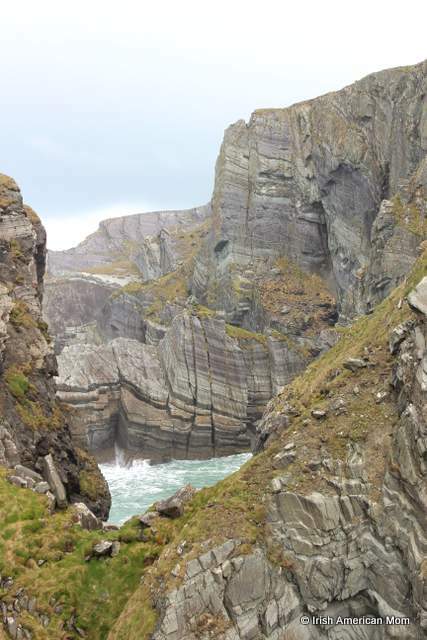 But today, I’m going to take you on a tour of County Cork’s lesser known, but just as spectacular cliffs at Mizen Head, Ireland’s most south westerly point. 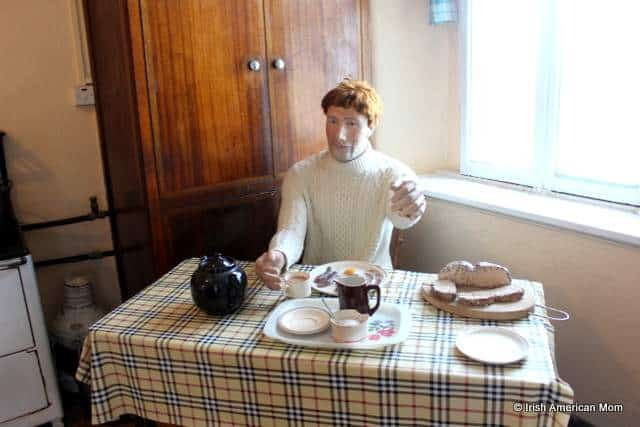 I love to take you off the well beaten Irish tourist trail, to discover Ireland’s hidden treasures. 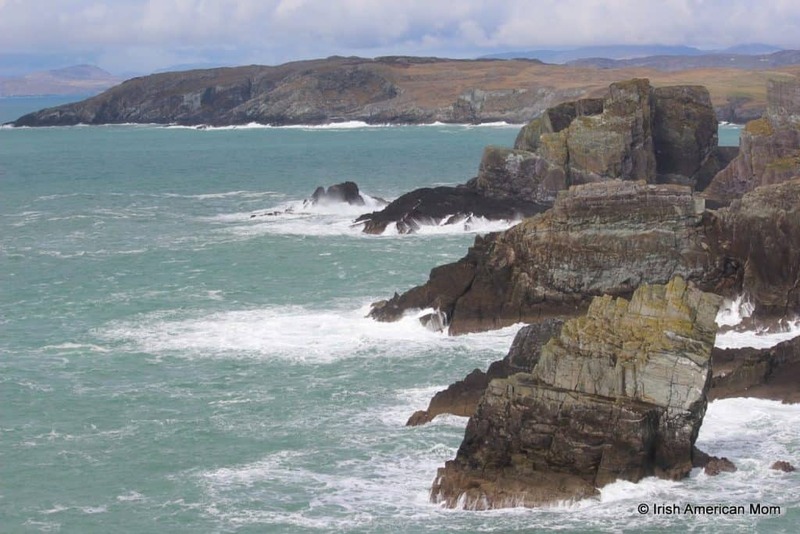 If you plan to visit Ireland in search of bracing ocean scented air, then the Mizen is the place for you. 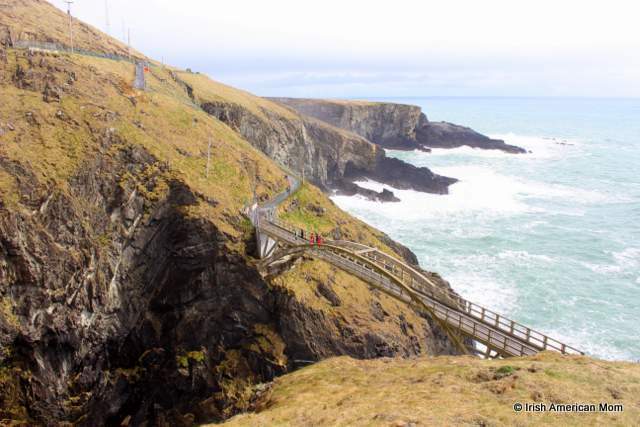 The wonderful thing about this magnificent County Cork outpost on the Wild Atlantic Way, is that it is far less busy than the more northerly Ring of Kerry or Cliffs of Moher. And so, brace yourself for a photographic tour of dizzying proportions. In today’s post I share some photos I took on a wild and blustery spring day. 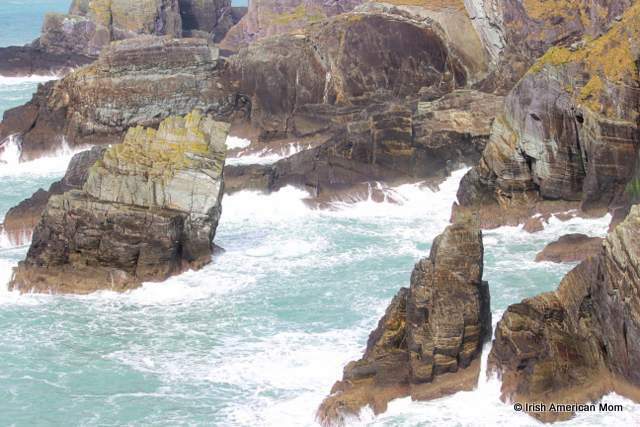 Join me as we peer over some of Ireland’s rocky precipices and enjoy the churning Atlantic ocean. 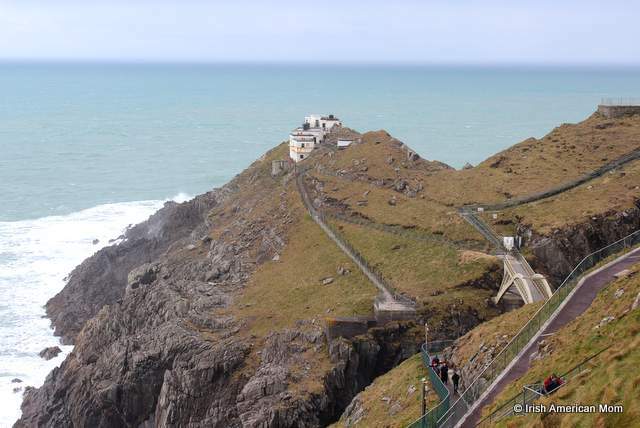 The old Mizen Head Signal Station has been transformed into an award winning Maritime Museum and Heritage Centre. 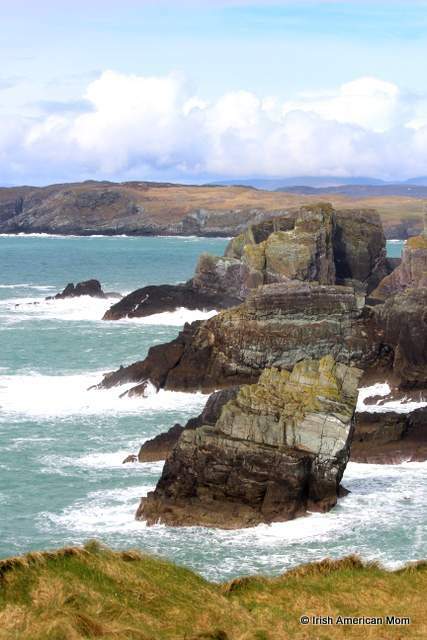 This rocky outpost is in a spectacular location high atop the cliffs and the swirling Atlantic Ocean tides. A path down 99 steps leads to a footbridge crossing the churning waters below. Tread quickly across this bridge, if like me, you don’t have a head for heights. I handed my camera over to my husband to take this shot looking directly below the bridge. 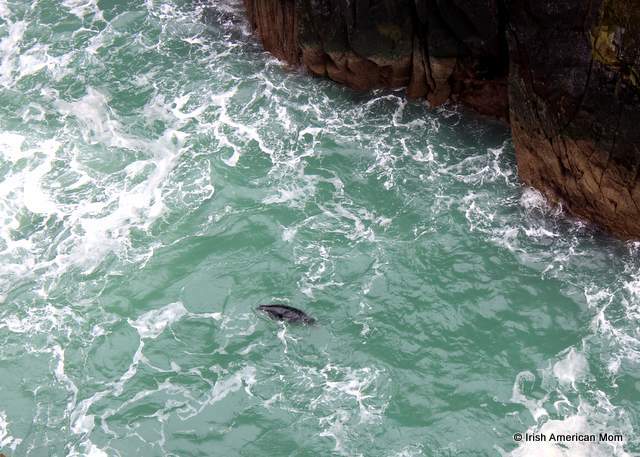 But once my kids started shouting they could see a seal battling the waters below, I overcame my fears to take a look. Apparently seals and their pups are often seen swimming in the Atlantic swells within this gorge. 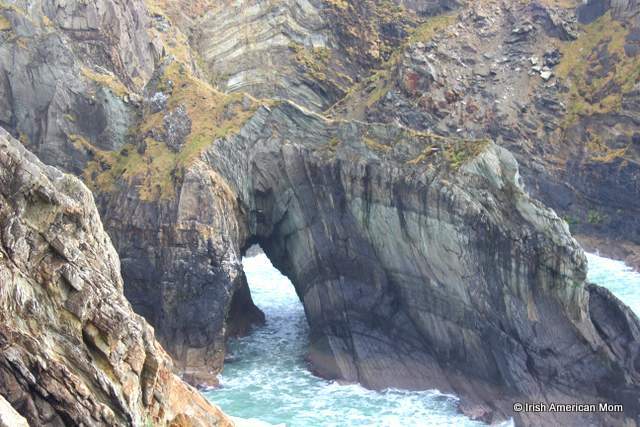 Mizen Head is a perfect vantage point to scan the waters for whales and dolphins. Only seals spotted on our visit. Here’s a view of the rocky shoreline from the bridge. The layers of rock are formed by Devonian era slate. The many shaded gray striations are simply spectacular. This is a majestic landscape with breathtaking scenery equal to any found in Ireland. Out in the distance the Fastnet Rock can be spotted. 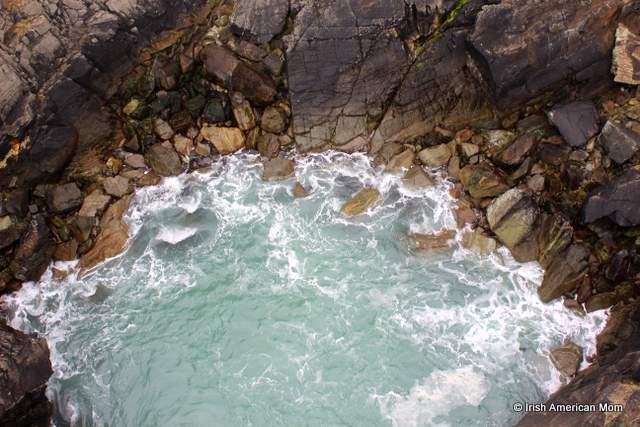 A 19th century lighthouse sits atop this rocky outcrop known as the Teardrop of Ireland. 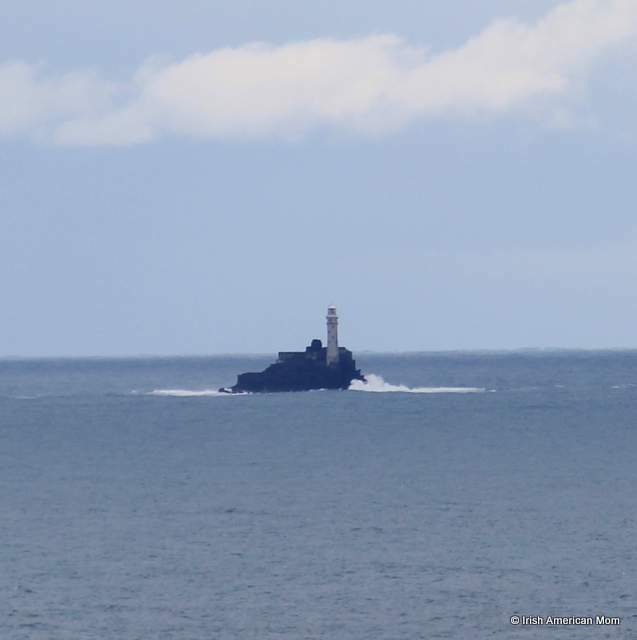 For many leaving Ireland’s shores as emigrants, the Fastnet Rock was the very last little sliver of Ireland they beheld. Building this safety beacon so far off shore is a credit to 19th century engineering skills. The old signal station now houses an informative museum with exhibits showing what life was like for those who worked here many years ago. 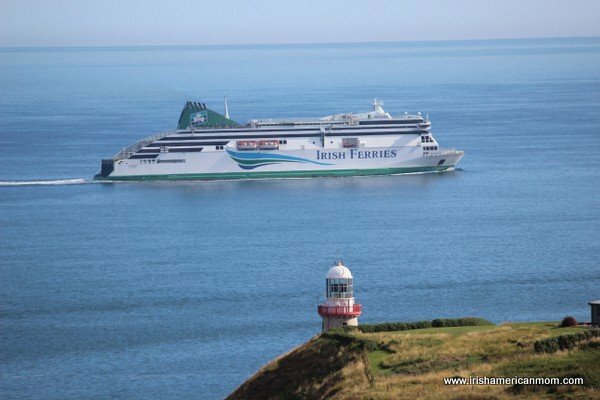 Here you can learn about the vast array of wildlife to be found in the seas and surrounding cliffs, together with the history of the Fastnet Rock, Marconi and radio communication. This majestic seascape, with its many breath-taking views has to be seen to be believed. My family visited on a wet and blustery day, with storm clouds hovering on the horizon. Despite hail showers, and mist laden gales, we found the experience to be completely exhilarating. 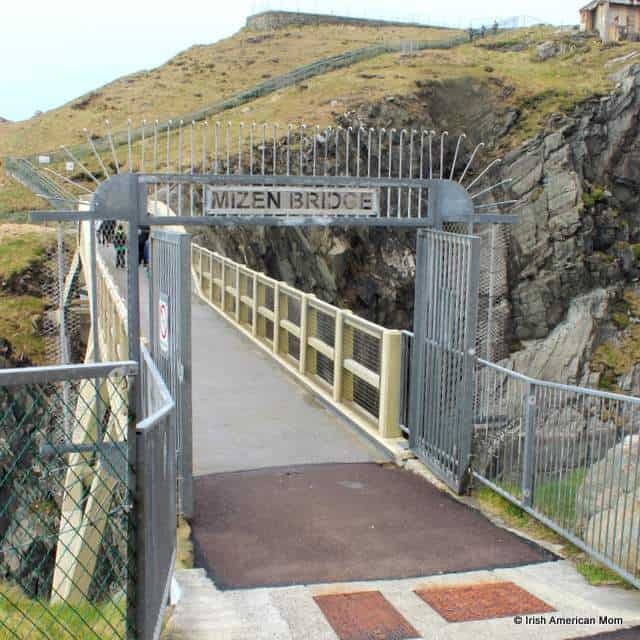 Mizen Head is Ireland’s southerly land’s end. 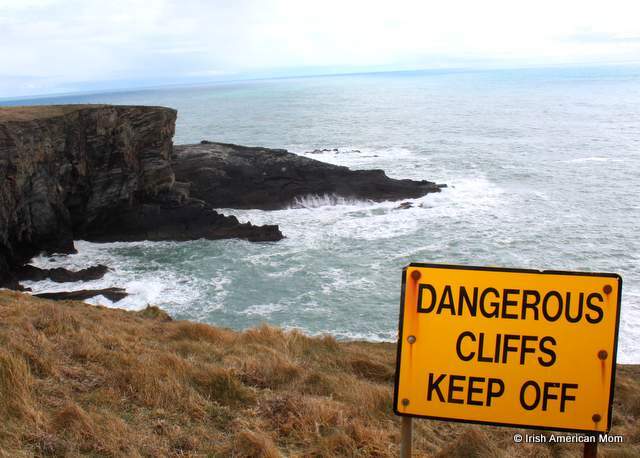 I highly recommend a visit, especially if you wish to experience the power of the Atlantic ocean, without the excessive crowds found in other corners of Ireland. Wishing you all happy trails in Ireland. 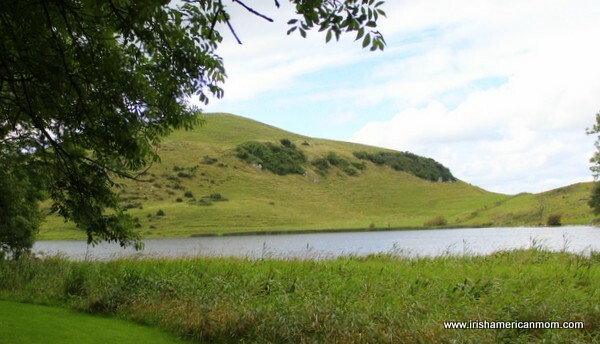 Lough Gur is a mystical lake in County Limerick, reported by locals to hide a magical realm beneath its glistening surface. 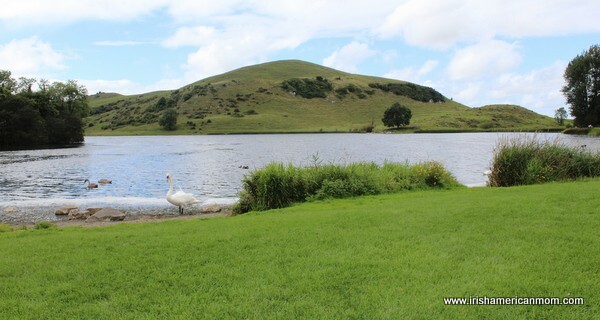 Lough Gur may not feature on most tourist’s lists of places to see when visiting the Emerald Isle, but believe it or not, it is one of Ireland’s most important historical sites. Lough Gur boasts rich evidence of ancient Irish life, Neolithic dwellings, man made islands (crannógs), pillar stones, ruined castles, a large Bronze Age stone circle, and a wedge tomb. 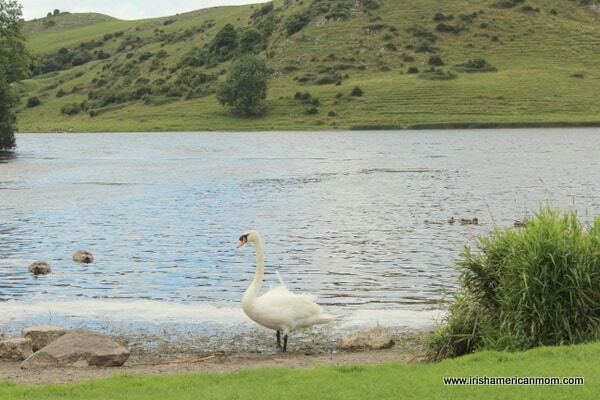 Visiting Lough Gur is always on my “to do” list when I spend time in Ireland. One of my favorite childhood haunts, it lies less than twenty miles from our family farm. Here my imagination runs wild. 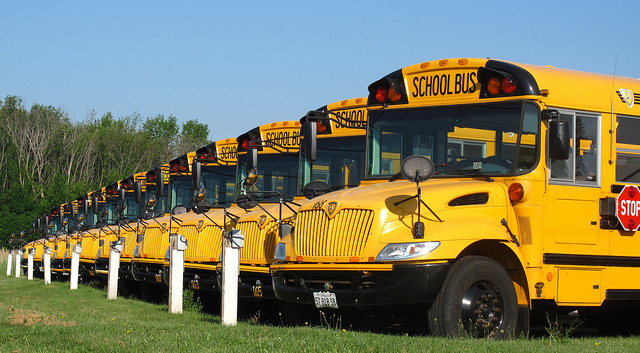 I love to recount old legends to my children. Faeries, enchantresses and wild knights inhabit these shores and waters. Today I thought I would finally share some of last summer’s photos of this glorious spot. 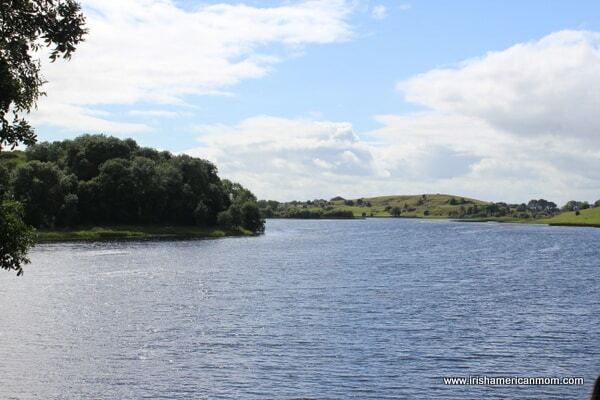 Lough Gur’s current shape is very different to its circular outline of ancient times. Today, meandering shores kiss the feet of surrounding hills. Before the 1840’s the lake’s water levels rose much higher. The Hill of Knockadoon lies on its eastern side, but once formed a large island in the middle of the lough. Drainage schemes in the 1840’s lowered lake waters, revealing many of its archaeological treasures. 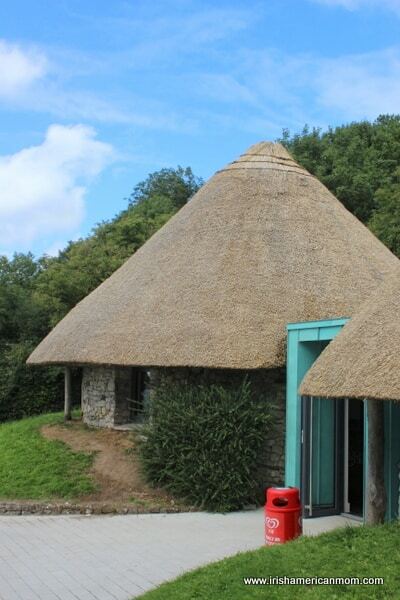 The Interpretative Center, built in a thatched replica of a Neolithic hut, offers audiovisual overviews of the area, bringing to life over 6,000 years of archaeology and history. “The Giants Grave” is a wedge shaped tomb dating back to around 2,500 B.C..
Grange Stone Circle is composed of 113 standing stones. Dating back to 2,200 B.C., it is the largest stone circle in Ireland. 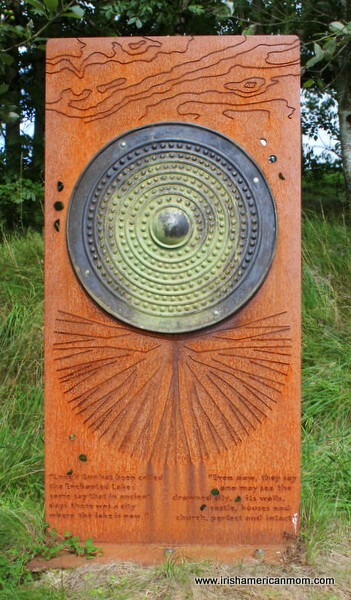 On the summit of the surrounding hill, Knockfennel, there is a ring-cairn of stones. Upon archaeological excavation pockets of burnt human bones were found. Yikes!!!! Our ancient ancestors were a crazy bunch. 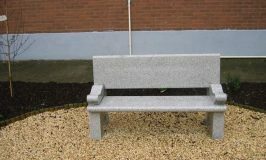 Bolin Island – a man made island. Over one thousand years ago the local inhabitants built Bolin island as a defense against their enemies. 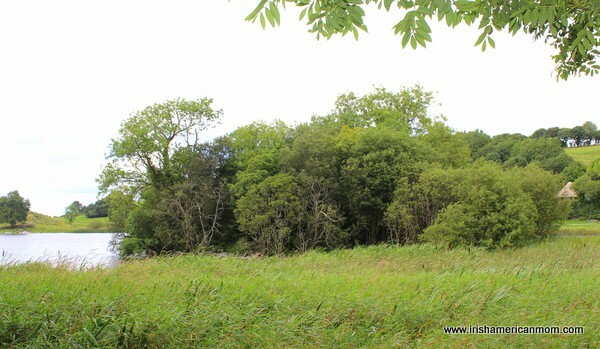 This artificial island is called a ‘crannóg’, from “crann” the Irish word for tree. When under attack the farmers of Lough Gur retreated to their island by an underwater causeway, lifting the bridge to deny admission to their attackers. During excavation of one of Lough Gur’s ring forts a hoard of Danish silver was discovered suggesting the presence of Vikings. Bouchier’s Castle is a typical tower house with defensive balconies and a causeway guarding its approach. It is currently listed for restoration, so hopefully government budgets will soon allow work to begin. Stories of a mystical past abound. 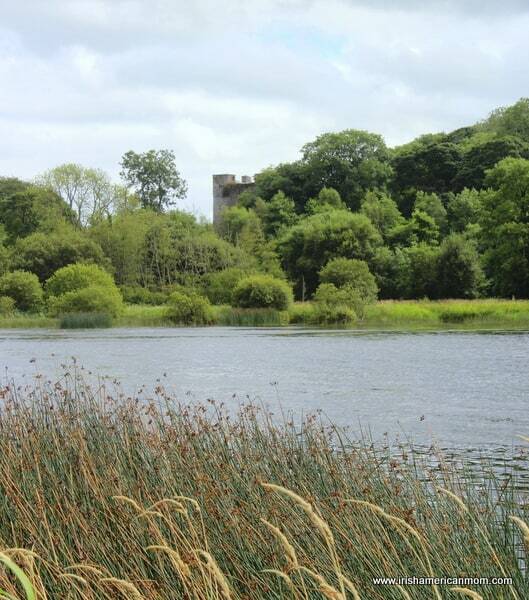 One folk tale of the lake recounts the enchanted fate of Gerald Fitzgerald, 3rd Earl of Desmond (1338 to 1398), a Chief Justice of Ireland and a poet in both Irish and French. Supposedly he never died, but now lives beneath the waters. Every seven years this lost Fitzgerald emerges from the lake, riding his white steed, shod with glistening silver shoes. He gallops around the shore and across the lake before returning to his watery home. The legend foretells he will regain his mortal form when he finally wears away his horse’s silver shoes. If I ever bump into him, I must remind him to stick to the hard shores for his midnight rides. He’ll never wear out those shoes riding across the water. When he returns for good he will restore the glory of the Desmonds. Another famous Fitzgerald with connections to this area is Honey Fitz, Mayor of Boston and grandfather of the 35th President of the United States. The family of John Francis Fitzgerald (1863 – 1950) emigrated to Boston from this area. He was known as “Honey Fitz” because of his beautiful singing voice. Many other folk tales exist recounting tales of the goddess Áine known to sit by the lake combing her golden tresses. 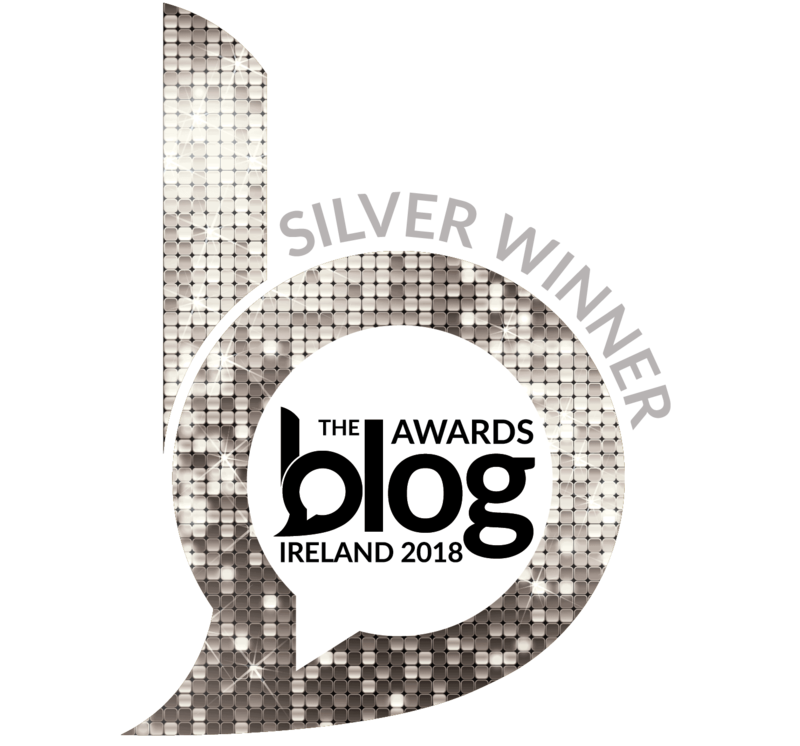 I found a wonderful website, Voices From The Dawn, which dedicates a full post to the history and folklore of Lough Gur. Here you will find short videos of the late Tom McNamera, the storyteller of Lough Gur, recounting the mythical tales of these waters. 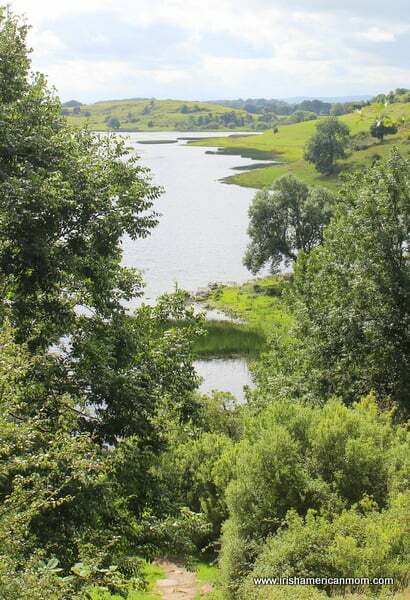 For anyone interested in visiting this beautiful lake, the Lough Gur website includes plenty of helpful and informative information. 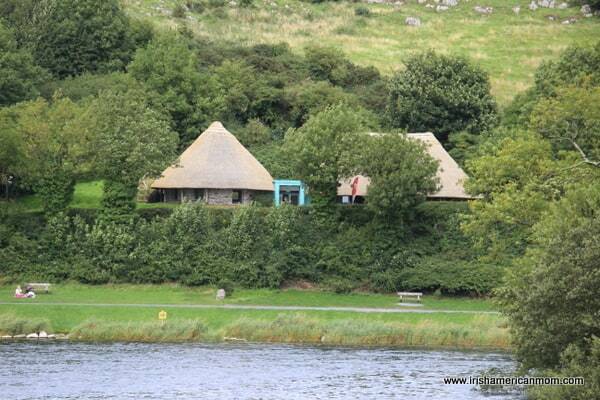 If you’re the type of tourist who enjoys getting off the beaten path and visiting the treasures of hidden Ireland, then a trip to Lough Gur should feature on your list of places to see. 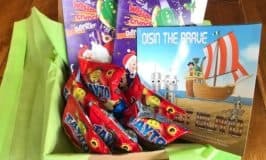 Wishing visitors to Ireland, this summer and always, happy, educational and exciting adventures.